Tom’s Glass Co. is a family-owned glass shop, operating in the greater Vacaville, CA area. We specialize in auto glass repair and residential glass services, including chip and crack repair and full pane replacement. Count on us for timely glass services, backed by superior workmanship and great prices. Your home and vehicle shouldn’t be marred by damaged glass. 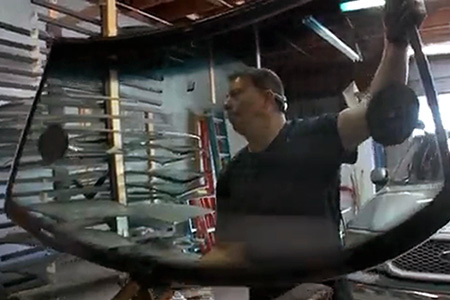 When chips or cracks appear, Tom’s Glass Co. will make them disappear! We’ve been in the glass repair and replacement business for more than 40 years, with workmanship and experience that shows. Our team works diligently to deliver the glass repair services you need, quickly and affordably, so you can carry on without worrying about the long-term ramifications that damages can bring with them. 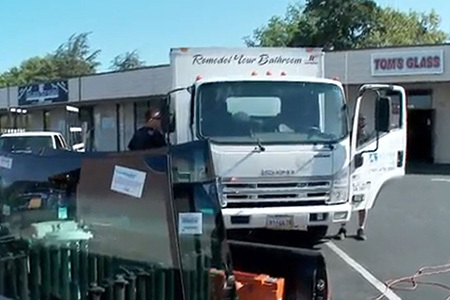 Whether it’s repairs for a chipped windshield or replacement windows in Vacaville, CA for your home, our workmanship is unbeatable and exudes the quality we work hard to instill in every job. In many cases, we’re able to offer glass services same-day! For larger jobs like tabletop repairs or windshield repair in Vacaville, CA, we also offer upfront quotes so you know exactly what you’re dealing with before we get started. If you’re shopping around for glass repair services, you’ll find that in addition to our honesty and proven workmanship, our business is also widely accredited. We’re members of the Bureau of Automotive Repair, the Better Business Bureau (BBB) and the Vacaville Chamber of Commerce! And, of course, we’re licensed, bonded and insured to ensure your trust. We let our work speak for itself and we guarantee satisfaction. See what we can do for your glass today! We’ve been in the glass business for more than 40 years and are proud to have a long list of repeat customers who are willing to vouch for the quality of our work. Our warranty is unbeatable! We offer 100% satisfaction guaranteed or we’ll re-do the work to meet your expectations. We work hard to stay competitive on price and go above and beyond in our workmanship, to deliver the best possible value to our customers. We have the ability to offer many of our services same-day! We’ll get your glass restored as quickly as possible to minimize its inconvenience to you. Free estimates are always available and we’ll be happy to assess your glass replacement project to get a better understanding of what’s required.